ALERT! Ben has offered up a new review challenge with a tattoo punishment, so listen to the very end for details! It’s a double Mike episode as Mike Flores and Mike Koscielny stop by for some good movie times. We talk about the trailers for Lucy in the Sky (NOT WITH DIAMONDS BUT STARS! 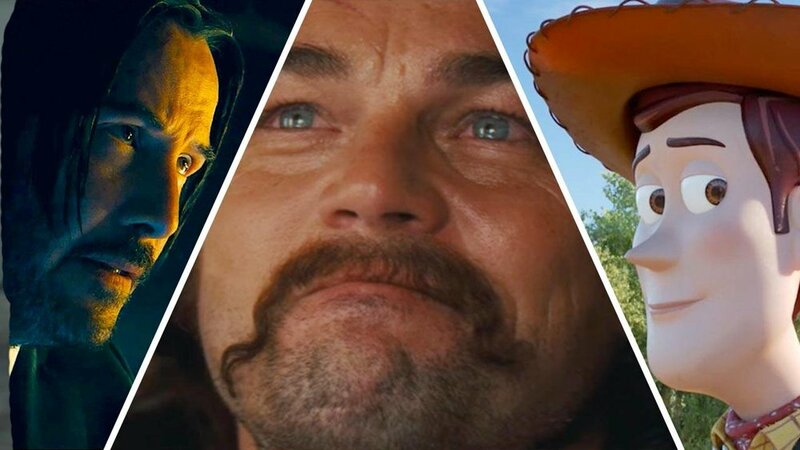 ), Once Upon a Time in Hollywood (TARANTINO-YEAH! ), John Wick: Chatper 3 - Parabellum (GUNS, LOTS OF GUNS!) and Toy Story 4 (CHILDREN PLAY GOD!). Plus, Ben confuses Mr. Magorium’s Wonder Emporium and The Imaginarium of Dr. Parnassus, and Mike Koscielny gets chastised for not seeing all the good movies. Pipe it into your earholes! Another new episode just came out of the oven like a batch of pizza rolls! Jim Conlin and TJ Stephens are back for some movie chatter. We dig into the trailers for Avengers: Endgame (WHATEVER IT TAKES! ), Aladdin (WE DON’T WANT A FRIEND LIKE THIS! ), Booksmart (SUPERBAD FOR LADIES! ), and Good Boys (SUPERBAD FOR MIDDLE SCHOOLERS!). Plus, we introduce our new celebrity name generating robot B.I.L.L.L., but he’s not quite ready for primetime. Dip this one into some ranch and have a bite! We’re back hot and fresh, like a batch of chocolate chip cookies ready to hop in your mouth and get chomped up real good. This time we’ve got Jonathan Baldizon and Amanda Lynn returning to help us get back on the horse. We’ve got some talk about the trailers for Dark Phoenix (NO THANX), Shazam! (SAY MY NAME! ), Spider-Man: Far From Home (JAKE GYLLENHALL DAY LONG!) and Rocketman (ELTON JOHN IS A SUPERHERO?!). Plus, we get into some serious talk about bad beards, vapes, Orange Vanilla Coca-Cola, and Football Mondays. Disclaimer This episode has some serious audio problems in the first 1 minute and 40 seconds. We’ll be fixing this with our better microphones very soon. All right, this is the last super old January episode we have in the can, so just ignore the stuff that isn’t timely anymore. After this, we’ve got a brand spankin’ new episode that gets us back on track FOR REAL THIS TIME. Alex Pappas and Millie Arocho join us to talk about the trailers for Avengers: Endgame (ASHES TO ASHES! ), Us (WE GOT FIVE ON IT! ), and Detective Pikachu (PIKA PIKA! ), and thankfully those movies haven’t come out yet. Plus, we’re on the verge of replacing our fascination with the Cars universe with a lot of questions about the world of Pokemon. Also, you’re gonna want a bologna and cheese sandwich with some potato chips on it after this. Listen up, chumps! One of these days, we’re not going to have old episodes purporting to be new episodes, but until then, here’s an episode we recorded back in January. Ryan Panos is back for another round while Jonah Snyder makes his debut on the show! 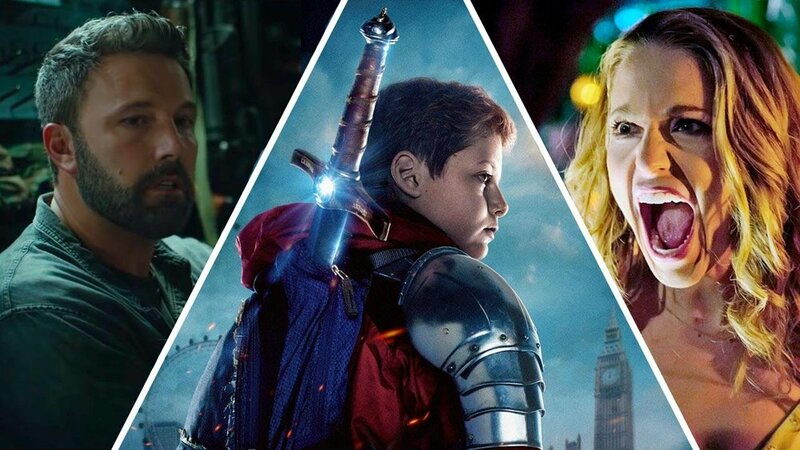 We watch the trailers for The Kid Who Would Be King (THIS MOVIE IS ALMOST OUT OF THEATERS), Happy Death Day 2U (THIS MOVIE IS IN THEATERS NOW), and Triple Frontier (THIS MOVIE IS COMING TO NETFLIX IN MARCH!). Ben refuses to come up with a theme song, even though it was his turn, but Brad saves the day. Plus, we have some coffee talk.